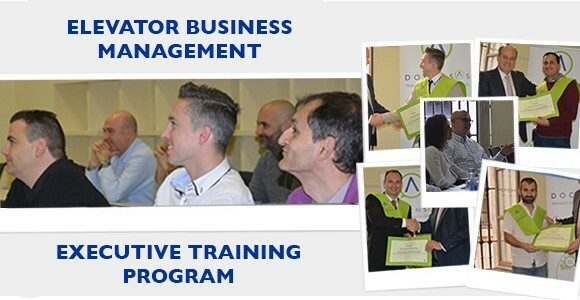 Last Friday we celebrated the completion of the Elevator Engineering Module, concluding the second edition of the Elevator Business Management Program. When a new promotion of students of a management program graduates, a mixed feeling of confidence and hope arises. The diploma ceremony is an important milestone that is part of a process that began before the enrolment and goes beyond the teaching period. Before the enrolment, the students of a management program already had a high dose of optimism, as a result of a willingness that aims higher. But they also had the humbleness of those who know that there is always something new to learn. During the program, the fact that they learn new management techniques or acquire business concepts unknown until then, allows them to build a new mental framework. Only once the management program is finished and this new comprehensive framework faces reality, will such education become a reality, helping the students solve their problems more efficiently. Over the years, those that once were students of a management program will become qualified executives, capable of facing all challenges they pose. Congratulations to all those who have graduated and those who, when enrolling in a management program, look forward with optimism.